Try out some new moves in a series of fun workshops for all ages, including a final chance to learn the Flash Mob dance. Get to know festival artists in question & answer sessions in our Networking Tent. Learn all about opportunities and funding for dancers in an educational forum with Canadian arts service organizations. In the evening, enjoy an outdoor performance by a selection of local artists plus special guests Tentacle Tribe from Montreal. 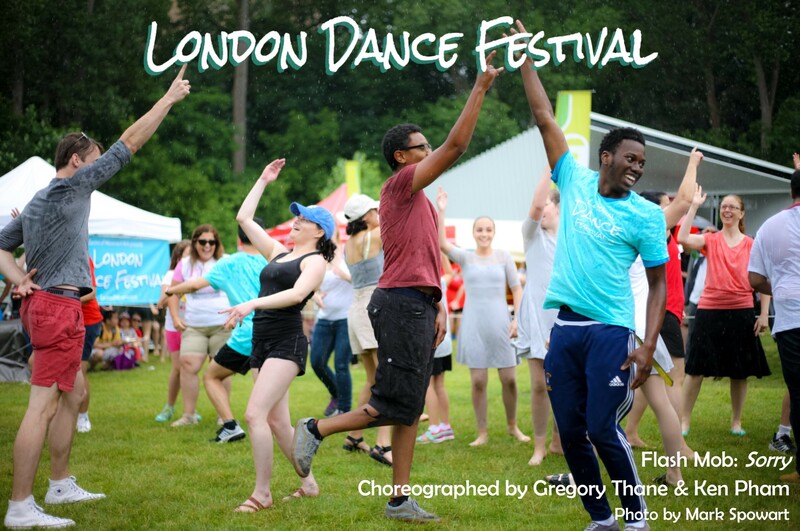 Join choreographers Ken Pham and Greg Thane as they teach you the moves for our Flash Mob dance. 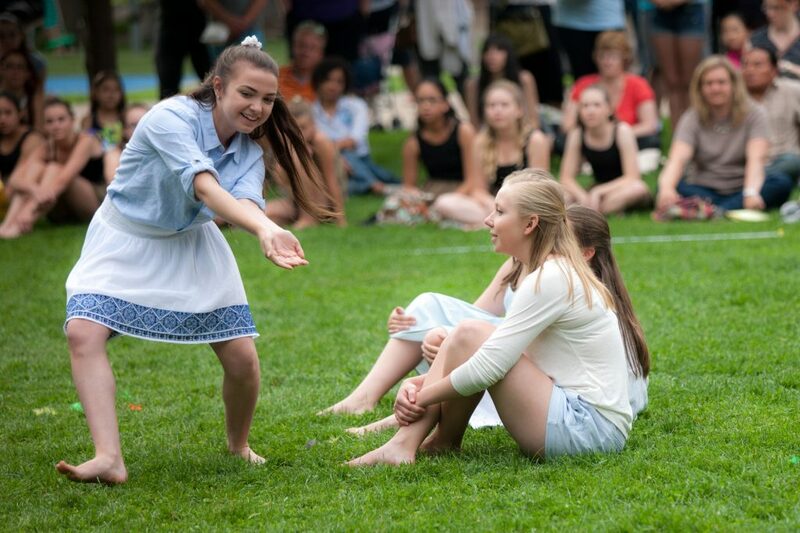 Then join us in Harris Park on July 1st to perform in one or both mobs at 3pm and 4:30pm. More details here! Facilitators will lead the audience through an interactive workshop teaching the history, the culture as well as the physical movements, known as the original form of hip hop dance. Lessons on the basic elements of ‘breaking’:- top rock- footwork- freezes- powermoves. All participants will learn 2 of each element then put them together to show off the set in a friendly open dance circle. Zumba Fitness – Latin Dance Fitness. Both Personal Trainers and Zumba Fitness Instructors, Kelsey and Amanda work at Movati Athletic as group fitness instructors teach bootcamp and dance fitness as well as working as Personal Trainers. 12-5pm Under the Networking Tent Art Service Organization representatives and dance community vendors will set up tables to share flyers and casually chat with visitors about their services. In attendance will be London Arts Council, Dance Ontario, Dancer Transition Resource Centre, ArtsPond and more! 5:30-6:30pm Arts Networking Hour: Dance community members and aspiring artists will hear presentations from festival staff and ASOs about funding, services and opportunities in dance, and have a chance to ask questions. 7-8:30 pm Community Showcase performance featuring local dance schools and special guests Tentacle Tribe from Montreal. Artists: Young Company of North London Dance Centre, Sound in Moiton, En Avant Dance Company, EnPointe Development Inc, Studio Dance Pointe, Jo Read Dance and more! “Passage” is an exploration of space and the traversal of that space. Using improvisational exercises, the dancers were asked to investigate different ways in which to move through space, while becoming aware of the other dancers in the room and their relationships to each other. Watch as shapes and lines unfold across the stage, divide and intersect, merge and become one. The Young Company of North London Dance Centre, now in its third season, is establishing itself as an organization which provides an innovative environment where talented, young concert dancers can further expand their technical dance training with performance-oriented training and experience given by some of the most respected teachers and choreographers in our community and beyond. The Young Company aims to provide essential performance training and experience that strengthens our individual dancer’s talents, while enhancing their understanding of the performance process and its demands. Dancers: Clare Bennett, Nayli Deleon Kantule, Amber Graham, Hannah Granite, Madason Hale, Maya Hall-Hinds, Mikayla Hardie, Eva Howe, Julia Howe, Maryn Kelly, Eva Langlois, Emily McManus, Reegan Ruddock. This piece looks at the elements of life and aging by how we feel and what we experience. It explores themes of loss, that can happen at any age, but also the idea that youth and vitality are an ageless mindset. Sound in Motion is the collaborative passion of directors Julie Mytka and Avery Brown. 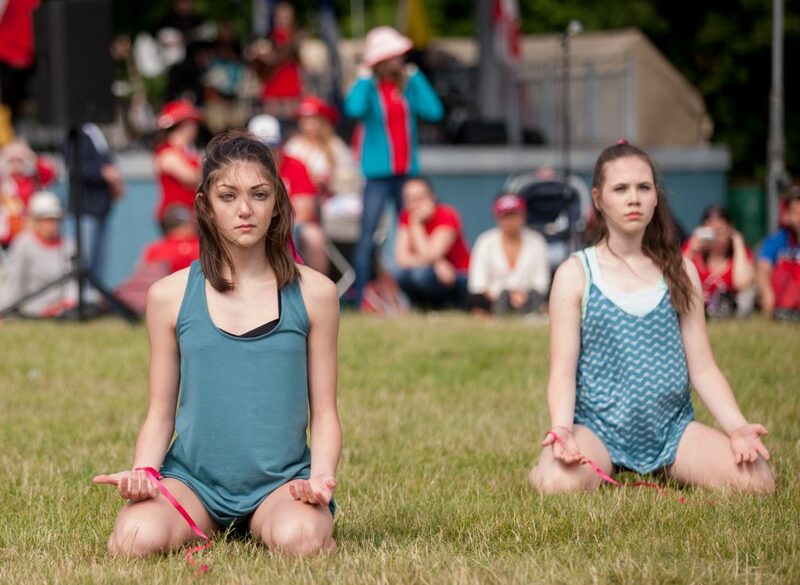 After both had worked in performing and teaching contracts all over Canada and internationally, they recognized the benefits of bringing music and dance training under one roof. Joining this duo is a dynamic group of professional instructors to deliver engaging classes for students of all experience levels. More than music and dance, Sound in Motion is a community studio, helping to raise tomorrow’s leaders by giving them all of the benefits that performing arts studies provide. An interpretation of a classic work by Canada’s Leonard Cohen, with a theme of perservering in the face of adversity to achieve your dreams. The En Avant Dance Company represents London’s newest dance studio, En Avant Dance. 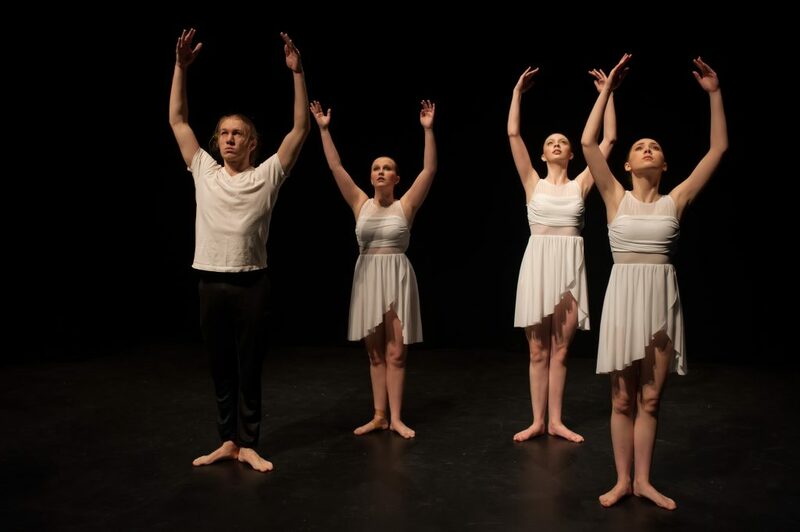 The company has performed at several events in the London area in our first year of operation, and looks forward to many more opportunities to share their talent with the London dance community. Dancers: Kyla Trinh, Olivia Basler, Mikayla Quenneville, Shayla Kellett, Sydney LeClair, Julia DiCicco, Amelia Lethbridge, Madeleine Trottier, Maggie Clark, Zoe Holliday, Lilly Holliday, Cosette Holliday, Emily Dolbear, Valeria Rangel, Paige Nixon, Jordyn Hay, Ella Lake, Kaitlyn Jekl. 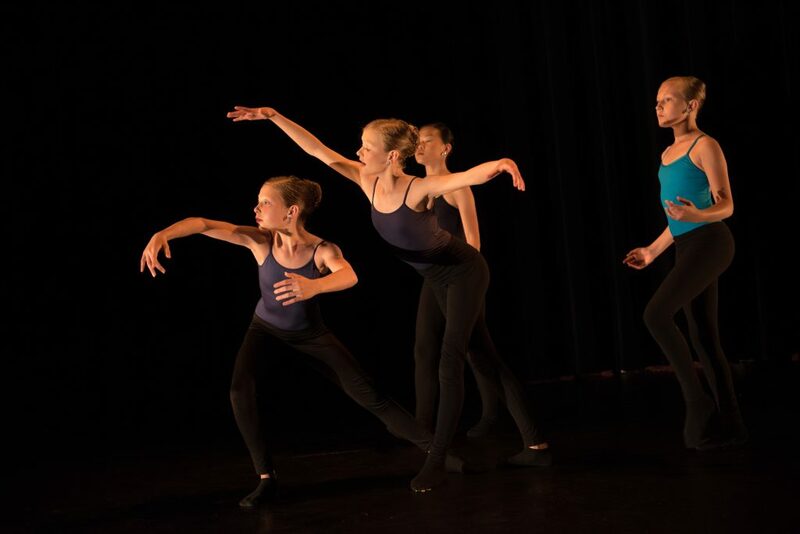 ‘Americano’ is a high energy dance that showcases acro and jazz elements from dancers between the ages of 11 and 13. We are excited to be performing in The London Dance Festival. We are very proud of our Internationally and Nationally recognized Competitive Team! Our competitive dancers are well trained in all dance disciplines, and take great pride in being part of such a successful dance team. Our dancers recognize that it takes a lot of hard work, commitment and dedication to be a competitive dancer. Our Competitive dance program is for selected dancers ages 4-19yrs in Lyrical, Contemporary, Open, Acro, Jazz, Hip Hop, Tap, Ballet and Musical Theatre. Our students have received numerous scholarships, overalls, and dance off championships, and are known for their passion and own individual artistry. Jo read dancers continue to be featured in stage productions, as well as movies, and TV shows such as Disney Channels Backstage. Our incredible faculty is of the highest talent with success and recognition for their innovative choreography all over the world. Our teachers participate in remarkable training programs such as Ottawas SpringBoard, are members of companies such as the Canadian company RubberbandDANCE which is currently touring Europe, as well as main faculty on the American touring dance convention INTRIGUE. We ensure our dancers receive the highest level of training in a loving, supportive, family atmosphere. This piece is a conversation between two sisters and a celebration of their artistic commitment to each other as duet partners. The choreographer worked collaboratively with the dancers to commemorate their last duet together within the context of pre-professional work. Adrianna DiLiello has been performing for audiences since she was five years old. She has and continues to train as an actress, dancer, and vocalist. Adrianna made her foray into the industry at age nine when she auditioned for and secured a lead role in cult favorite “Stage Fright” opposite Minnie Driver, Meat Loaf, and others. This was quickly followed by her leading role and Emmy Nominated performance on Amazon’s “Annedroids”. She’s also guest starred in projects such as animated series “SuperWhy”, “Lunch Box Loser”, “Saving Hope”, and was recently seen performing in the Hallmark film “Nutcracker Christmas”. In addition,to “Annedroids”, Adrianna can be seen as Jenna, a young ballerina on Disney’s “Backstage”, for which she just finished filming the second season. Dancers: Madison Besley, Amy Krosnicki, Ella Jakobi, Eadie Quipp. This contemporary ballet piece was choreographed during a three-week summer ballet program held in London in August 2016. The dancers performing the piece have translated traditional ballet technique into contemporary choreography. The piece illustrates an evolution of movement and growth over time and those performing the piece have dedicated themselves thoughtfully to its expression. Brandy Coghlin studied as a professional student at The National Ballet School of Canada. Brandy received her Dance Diploma from Arts Umbrella in Vancouver, BC in 2010. She has performed professionally with Cadence Bridges Ballet, Cadence Progressive Contemporary Ballet, Dasein Dance Theatre, and locally as an independent artist. Brandy is certified to teach levels 1 and 2 in the Donna Krasnow Conditioning with Imagery Training for Dancers. Brandy continues to derive great pleasure and satisfaction bringing the joy healthy training to her students and in her continual evolution as a professional dancer. 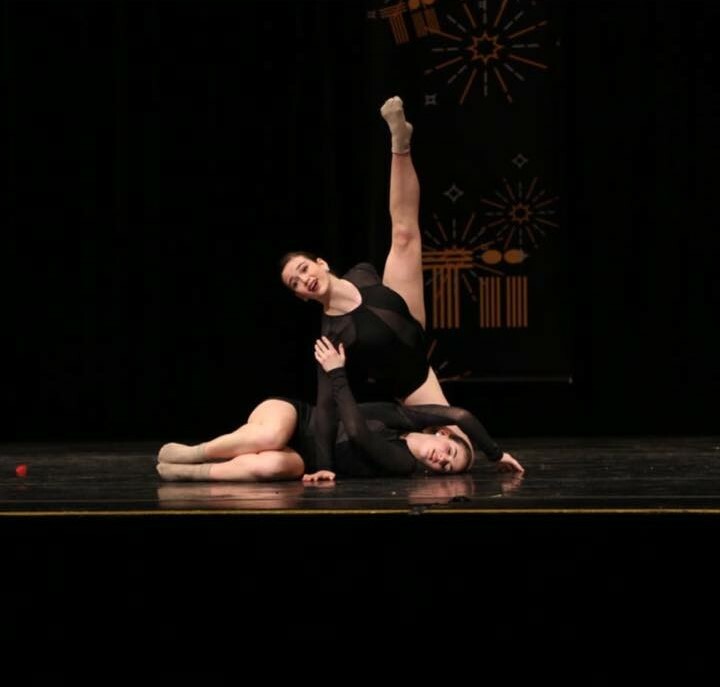 Dancers: Madison Archibald and Elizabeth White. Studio Dance Pointe is a family owned and operated business. Family, community and proper technical training are things that we strive to promote. The atmostphere at the studio is friendly and courteous, while maintaining a structured, professional environment in which every student can benefit. Whether you want to just learn something new and have fun in our Recreational Program, or have a chance to join our award winning Competitive Team, Studio Dance Pointe is sure to offer a program for everyone. Come and check us out, we would love to meet you!